Becky has been my stylist for almost 10 years now and I cannot imagine allowing anybody else anywhere near my hair. Her and her team have that professional yet friendly balance down to a t. I always feel so welcome and at home when I visit and I look forward to my 6 week visit for the pampering I get! What I love most about Becky is the honesty in our consultations - I still think that my hair is 6 inches longer than it is!!! I always leave the salon over the moon with what Becky has done. In my opinion there is no other hair salon in Newcastle under Lyme - in fact I live in Derbyshire and drive 42 miles there and 42 miles back to see her! Becky has been my hairdresser for over 10 years and I honestly wouldn't let anyone else near my hair! Her salon is always welcoming and full of new product and accessories that I can't wait to try! Its a testament to her that she has such a loyal client base and I am really excited to see her new salon! This place is AMAZING, I get so many compliments about my hair i'm surprised my big head fits through doors! The team, Becky, Laura and Amber, make you feel like a part of the family as soon as you sit down. Their ideas are so innovative, fresh and on trend, they offer an amazing range of products and accessories. I never know what to do with my hair but always love the tailored and person style they give me. 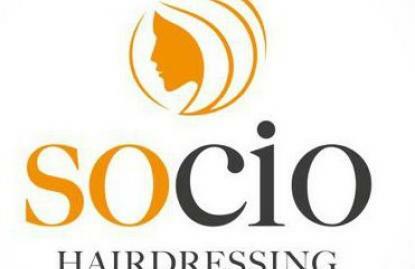 Its not like other salons where you call tell they've recently been trained and every style gets the same cut! Friendly and professional at every visit. Up to date on modern trends and new products. Genuine honest style advice for individual hair type. Always feel comfortable and leave feeling happy with the results.